This is a 1907 or so post card. The postmark is Nov 11, 1908. 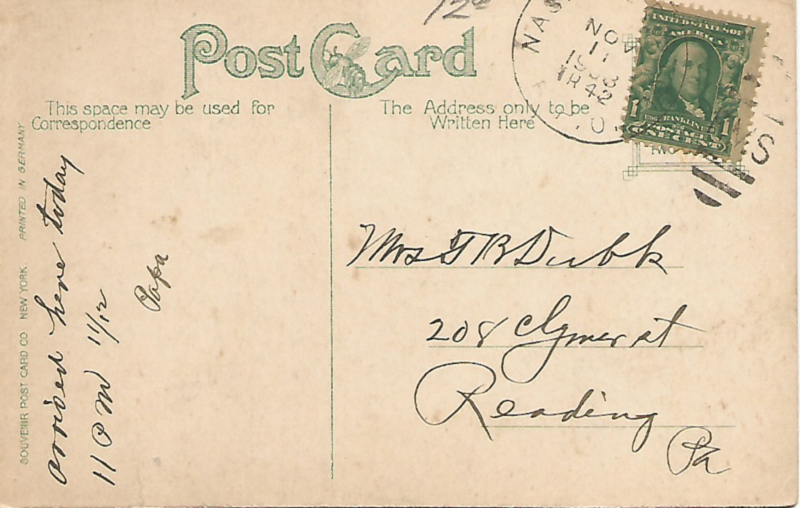 The divided back post card only became acceptable for postal use in 1907. In the card, there’s not a car in sight, but there is a Coca-Cola sign. It was published by Souvenir Post Card Co. in New York. 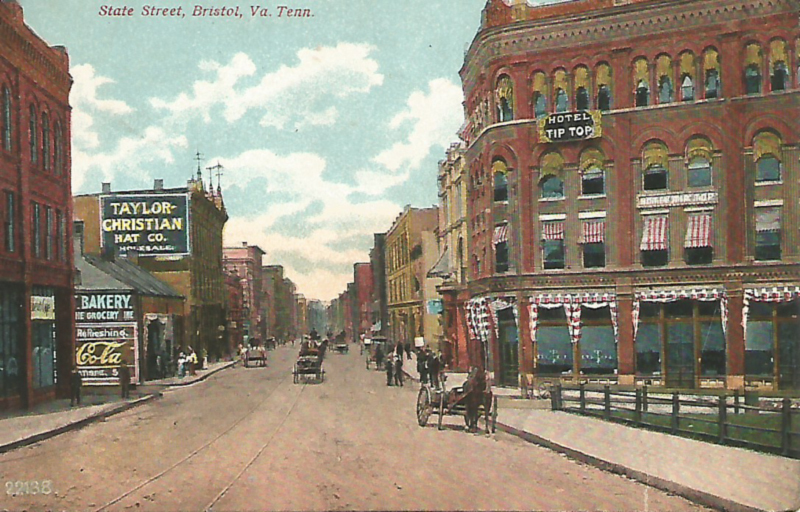 This entry was posted in Bob's photos and tagged 1908, Bristol TN/VA, Coca-Cola, German printed post card, Kodachrome, Souvenir Post Card Co New York, State Street on February 12, 2015 by Bob Lawrence.